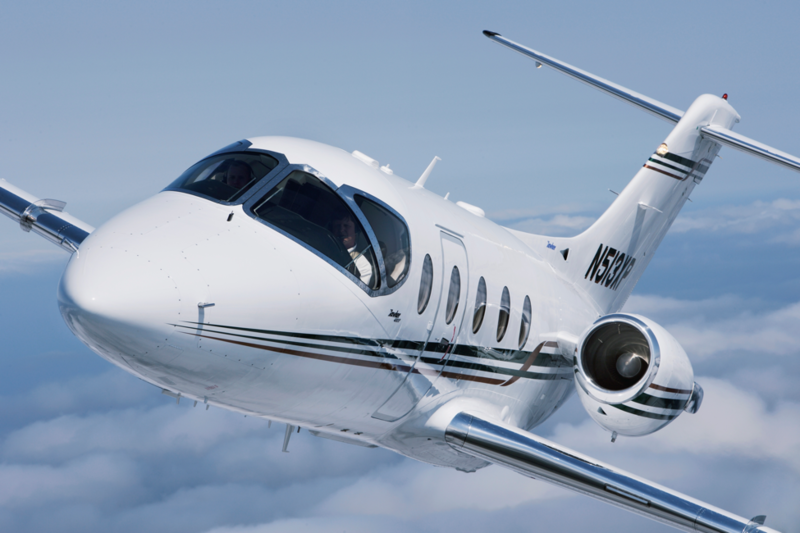 As a light jet, the Hawker 400XP is perfect for short or mid-range missions as it combines speed and a spacious cabin. Considered as one of the fastest light business jets on the market, the Hawker 400XP features an innovative design and superior technology that are sure to impress both passengers and pilots. Unique to its class, the cabin of the Hawker 400XP features a square-oval design, allowing for more interior space and comfort for passengers. 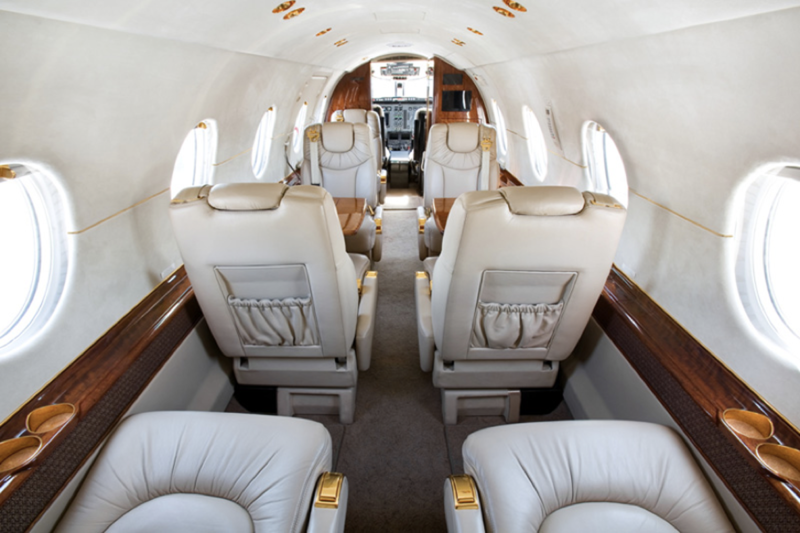 With 305 cubic feet of interior space to spare, the cabin of the Hawker 400XP seats 6 to 8 passengers. It has a flat floor, making mobility easier for both passengers and crew. Its baggage capacity boasts an impressive 53 cubic feet of space including both internal and external storage. That means it can fit 6-7 suitcases, 3-4 golf bags, and 1-4 pairs of skis. Additionally, the cabin receives an abundance of natural light with five windows placed on each side of the jet. As one of the fastest light jets in its class, the 400XP is powered by two fuel efficient Pratt & Whitney engines that each deliver 2,965 pounds of thrust. At a high speed cruise of 535mph and range of 1,400nm, this light jet can deliver superior performance that no other light jet can surpass. 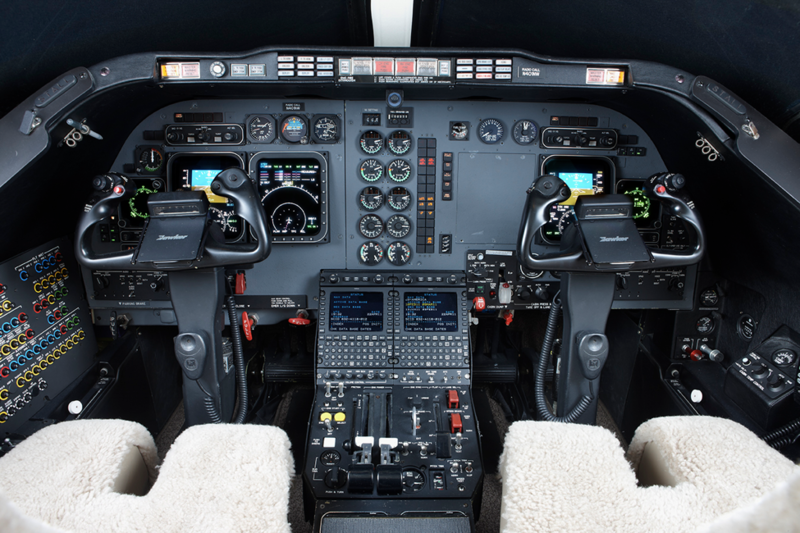 Pilots are fond of the Rockwell Collins Pro Line 4 avionics within the flight deck because of its clean and logical layout. A flight management System, global positioning system, enhanced ground proximity warning system, weather radar, and more all come standard in the Hawker 400XP. As a best-selling light jet, the Hawker 400XP is perfect for short range missions as it offers unique-to-its-class space, impressive speed and exceptional handling capabilities. It is a favorite among pilots and passengers because of its impressive reliability and ability to deliver constant seamless travel experiences.